We are lucky! Sun, bluebird and some powder. 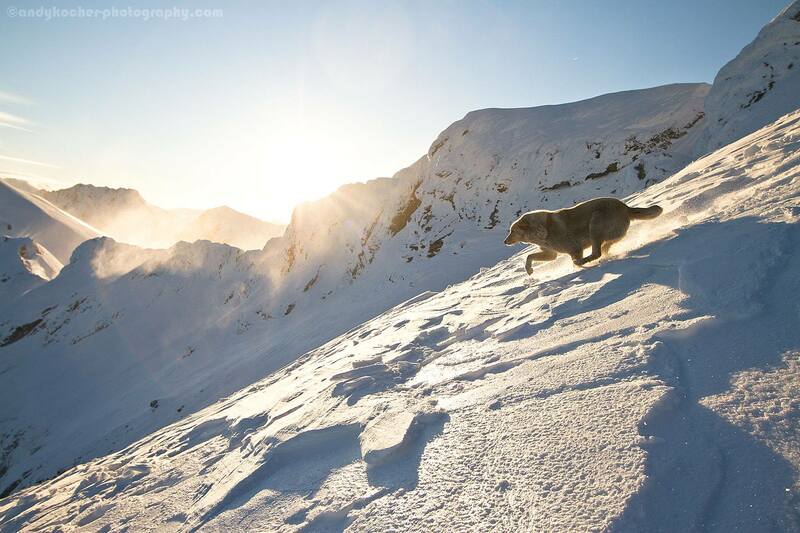 For sure, Carpatian Mountains also mean wind, wild dogs and ever changing snow conditions. We already had a sunrise session where we nearly got blown off the ridge, still, the light was beautiful and we had two dogs accompanying us…dogs here are actually runing lines.